This immaculate Whitney model has a panoramic water view and every luxury you've been searching for! 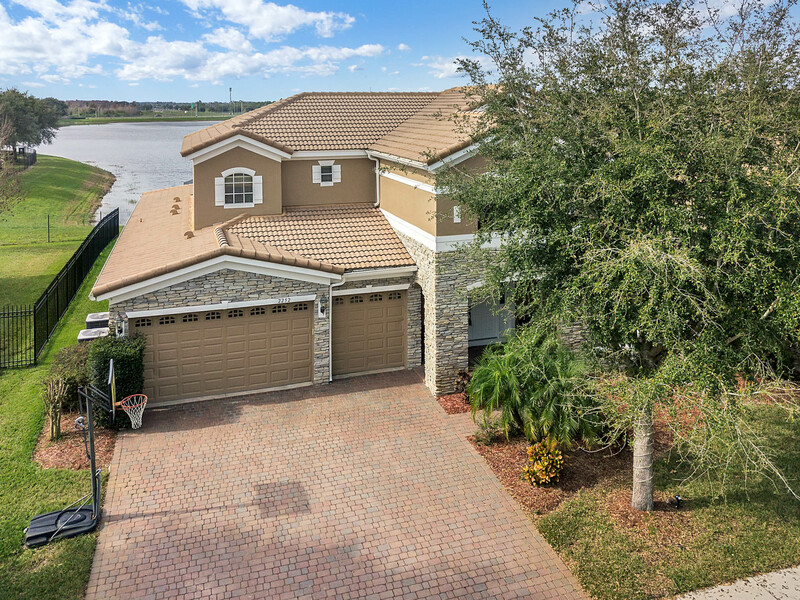 This lovely residence is located in Bronson's Landing, a quaint community on the edge of Windermere and minutes from shopping, restaurants and A rated schools! The elegant exterior is beautifully landscaped with decorative garage doors, a tile roof and an abundance of stonework. Large, inviting double doors lead into a beautiful 2 story foyer and a show stopping wrought iron grand staircase! Inside you'll find stainless appliances, crown moulding, upgraded cabinetry and large picture windows overlooking the water. The home not only has 5 bedrooms and 5 full baths, but an office, loft and bonus area and an entire in law suite with full kitchen. With double master bedrooms, 1 upstairs and 1 downstairs, the floor plan is perfection and allows you to choose to live any way you like! Downstairs, the ample master has a luxurious soaking tub, walk in shower and double vanities. The living and dining rooms are centrally located for gatherings and the true gourmet kitchen is adjacent to the cozy family room. The upstairs is like having a 2nd home! The space and storage are amazing! This is a home you have to tour to appreciate.